Sometimes we need a little more guidance in our lives. Some go to church, others go out in nature, and some snuggle up with their pets. However you get your guidance and comfort, we think that there’s nothing more comforting than a loyal pet. And why leave those pets out on Halloween? We think they have just as much of a right as anyone else to get dressed up for a good time this Halloween, and what better way to do it than to dress as a pillar of guidance such as the pope? Since when did the pope get so...furry? Now your little hound can be a holy hound! 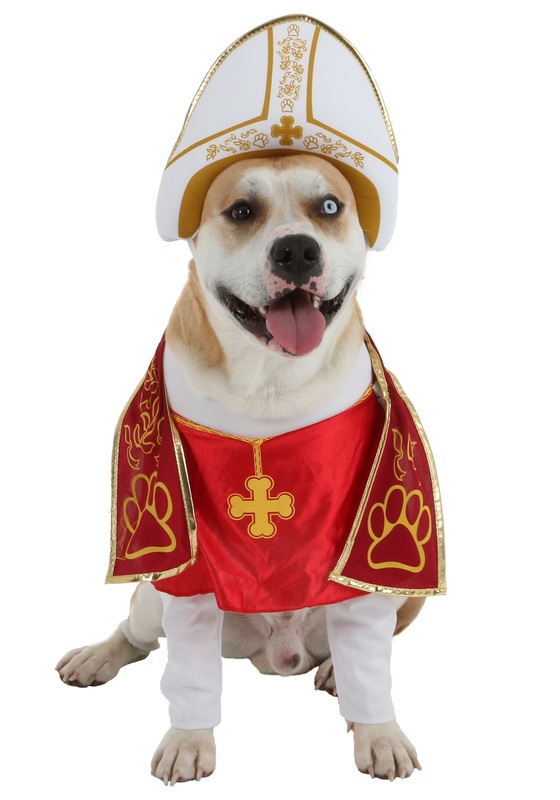 This Holy Hound Pet Costume will turn your pooch into a pope look-alike! 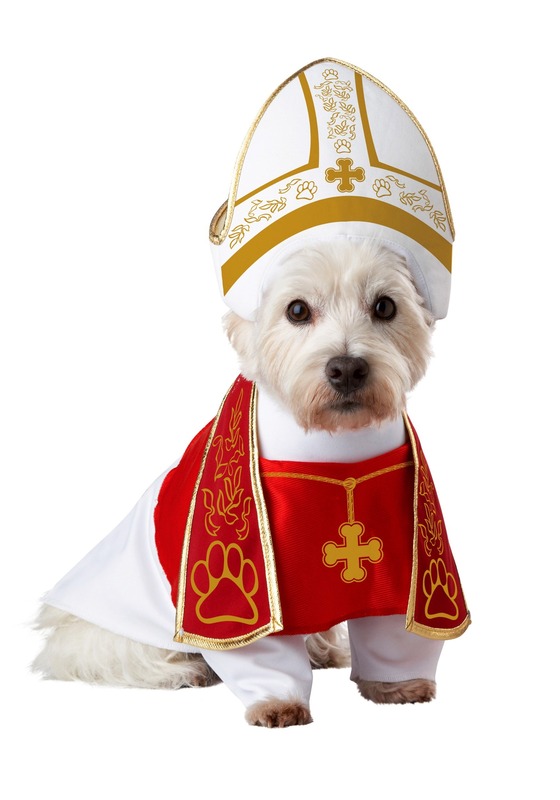 Make your doggy a little more religious this Halloween when you make 'em wear this costume. This funny dog costume is perfect for your pooch this Halloween. The costume goes on the front paws and fastens around the belly with Velcro so that it has several secure points for a better fit. The stole has printed gold pawprints and fastens to the costume with Velcro. The costume also comes with a red cape with a printed gold cross. The miter headpiece has an elastic chin strap so that it stays in place even when your pet takes off after the neighborhood squirrel - not very pope-like behavior if you ask us!